At 4,566 m Mt Meru is the fifth highest mountain on the African continent and the second highest in Tanzania. About 250,000 years ago, a massive volcanic eruption blew away the entire eastern flank of the mountain and left it with the distinctive appearance it has today. 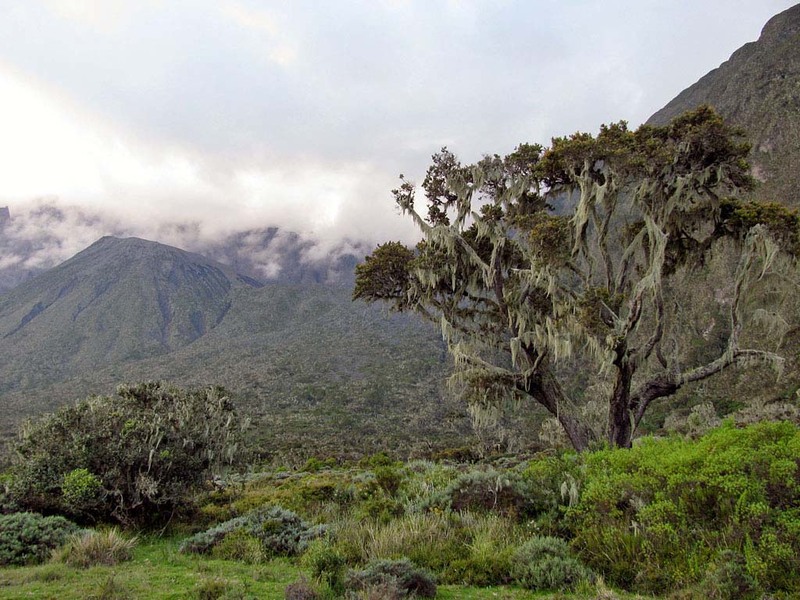 The Mt Meru ascent passes through many different vegetation zones. The dry forest of the lower region changes to a dense mountain rainforest, which then turns into scrubland. Closer to the summit, vegetation becomes less and less and gives way to alpine terrain. As the vegetation changes so does the wildlife. During the ascent, you might come across large game such as giraffes, buffaloes, baboons, colobus monkeys and antelopes. To be safe, it is obligatory to be accompanied by an armed park ranger on your tour. Upon your arrival at Kilimanjaro Airport, you will be greeted and transferred to the Meru View Lodge on the outskirts of Arusha. The rest of the day is at leisure and in the evening, you will attend a briefing in preparation of your upcoming trek. Dinner and overnight at Meru View Lodge. In the morning, you will be collected from your lodge and taken to the Arusha National Park gate. While you wait, your guide will complete the registration forms. Once the formalities have been sorted out and the hiking team has gathered, you will be taken to the Momella Gate. From here an armed park ranger will accompany you and right from the start you might spot giraffes and buffaloes as you walk through open grassland. Soon you will enter the acacia forest on the southern route. After approximately 2 hours you will reach the Maio Falls – the perfect spot to rest and have a picnic. Thereafter you will continue your trek to the well-known “fig tree arch”. You will finally arrive at the Miriakamba Hut in time for afternoon tea and snacks. The night will be spent at the Miriakamba Hut. In the morning you will follow wooden steps along a steep track. Due to the gain in altitude, it will be noticeably cooler than the previous day and walking may seem easier. The clouds often hang low in the rainforest, creating a moody atmosphere in the lush vegetation. After going uphill for approximately 2 hours, you will reach the vantage point “Mgongo wa Tembo” (elephant back) at a height of 3,200 m, where you will enjoy a well-earned break. The vegetation now changes from rainforest to heather and moorland and you should reach Saddle Hut at around midday. 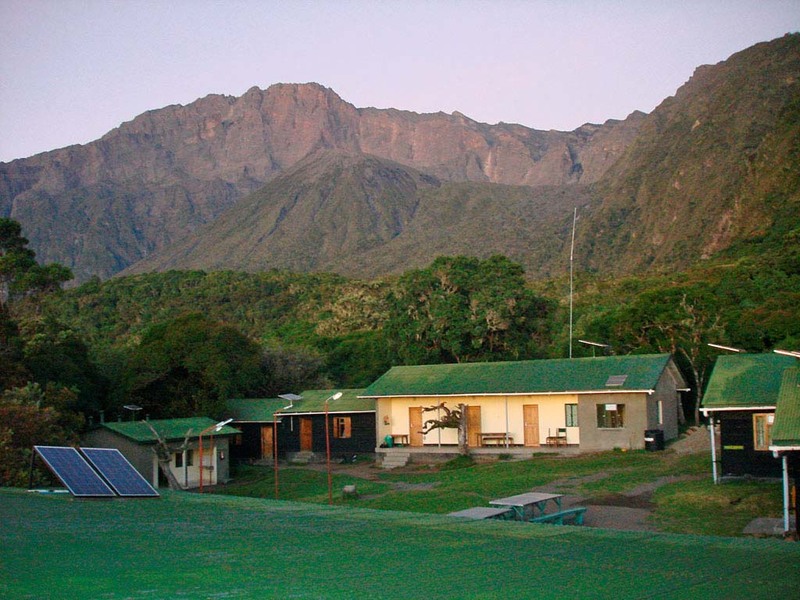 During the afternoon, you have the option to hike to Little Meru (3,820 m) which should take about 1 to 2 hours. From here you will enjoy wonderful views of Arusha National Park and Mt Kilimanjaro about 80 km away. Back at Saddle Hut you will have a warm meal before you retire to bed early as your wake-up call will be just after midnight. After a small snack and some tea, you will leave the camp at around 2am. Lighting the way with headlamps, you will follow the trail through bush land to Rhino Point (3,821 m). From here the path becomes more challenging and occasionally climbing will be necessary. You will walk on frozen volcanic ash and rocks, following the crater rim. After about 4 to 5 hours you should reach the summit, Socialist Peak. 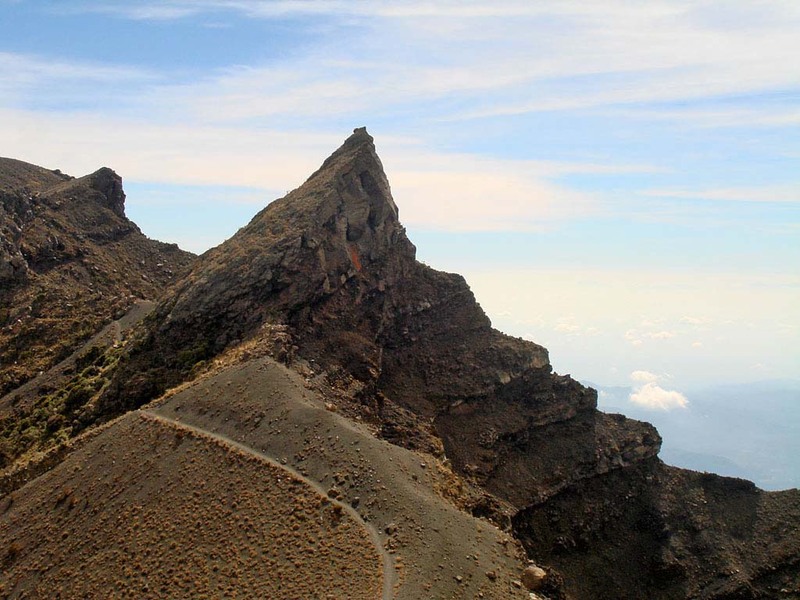 Experience the sun rising above Mt Kilimanjaro and enjoy the fantastic view of Mt Meru’s crater with its steep sides and the ash cone in the middle. The descent follows the same route back to Saddle Hut where you will take a break and recuperate with hot soup and tea. Once refreshed, you will continue the descent and during the early afternoon you should reach Miriakamba Hut – tired but happy. After breakfast, you will follow the so-called northern route – a 2 to 3 hours trek back to the Momella Gate. The descent follows a shorter route than the ascent but there is still a chance to see elephants, buffaloes, giraffes as well as the black and white colobus monkeys. 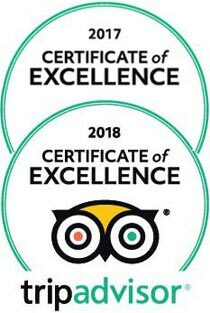 At the gate, you will say farewell to your hiking crew and your driver will take you back to Meru View Lodge where you will celebrate your achievement and spend the night. After breakfast, you will be transferred to Kilimanjaro Airport. Alternatively you can extend your trip and go on safari or relax at the white sandy beaches of the Indian Ocean. Group sizes vary between 2 and 10, with climbers coming from all over the world. Please however take note that it is compulsory for climbers to be accompanied by a park ranger and on some days it may happen that one ranger is responsible for more than one group. As a result thereof, you might find yourself hiking alongside guests from other groups. According to the national park authorities, children under the age of 10 years are only allowed to hike until Miriakamba Hut (2500 m) whereas children between 10 and 16 years are permitted to go until Saddle Hut (3550 m). Children above the age of 16 years are allowed to continue until the summit. Please note that children of all ages have to be accompanied by one of their parents at all times. Although there is no maximum age restriction, a medical check-up is advisable for climbers above the age of 60. You do not have to be an athlete or extreme alpinist but you should be in good shape. 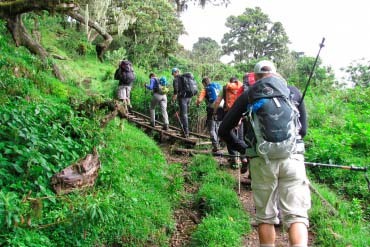 The ascent is physically less demanding than the one for Kilimanjaro but on the other hand, it is technically more challenging due to a few unsecured climbing passages. 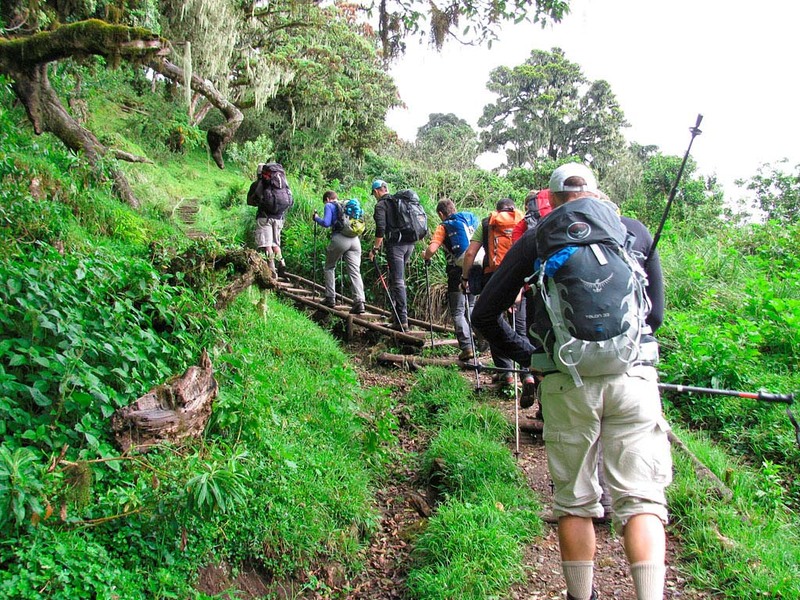 The best time to travel is between the end of June and the middle of October and although it is possible to climb Mount Meru in the main rainy season, we strongly discourage anyone from doing so. You will pass through many different vegetation zones. The dry forest of the lower region changes to a dense mountain rainforest, which then turns into scrubland. Closer to the summit, vegetation consists of heather and moorland later becoming barren alpine desert. Simple ablution facilities are available at the first hut (running cold water but no showers) but from the second hut onwards there will only be very basic long drops (simple latrines). Hikers will however be provided with a bowl of warm water for their daily wash. Almost everybody tackling Mount Meru will be affected by the thinner air and the altitude in some or other way. Top athletes are just as much at risk of suffering from it as people who are out of shape. Headaches, extreme fatigue, loss of appetite and nausea are all signs of possible mountain sickness. Symptoms are mostly mild, enabling you to continue your hike and only in a very few instances are symptoms more acute, making an immediate descend unavoidable. Severe altitude sickness is a serious matter and you should bear in mind that it can be life threatening and at worst lead to death. It is also important to replace lost body fluids due to physical activity by drinking enough water. We suggest two to four litres per day along with magnesium to prevent muscle cramps. 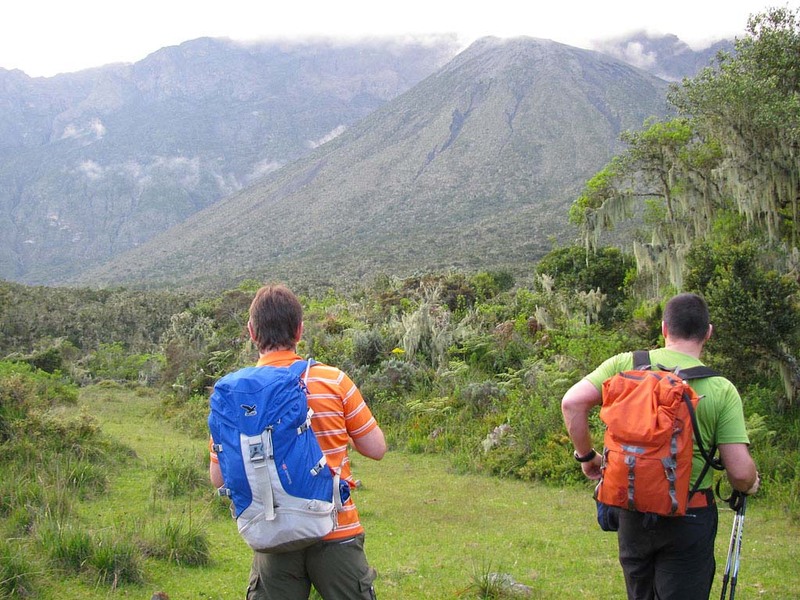 There are a few things you should pack for a Mount Meru climb and as the list is quite extensive, you will receive a detailed packing list from us once you have confirmed the booking.